Well Charlie Sheen is up to his old shenanigans on his new show, “Anger Management,” and by that I mean his character shares some of the traits of his former character Charlie Parker from his former series, “Two and a Half Men.” The critics love this show saying that his new show is much funnier than the current, “Two and Half Men” show that is out right now with Ashton Kutcher. Let me paint you a picture, in his new show Charlie plays a psychologist, does anyone see the irony in this? This bobocito’s character helps people with their problems while interjecting some of his past situations – the whole package is beyond funny. The fact that his character is a psychologist opens up this show to any number of things and I believe that they do expand on their possibilities. They also gave his character a 15 year old daughter, Sam, who is very smart but has OCD. Of course, she has to have a problem –she’s his kid, and he also has an ex-wife Jennifer with whom he gets along with pretty well. I don’t know who is writing this show but they are doing a very good job. 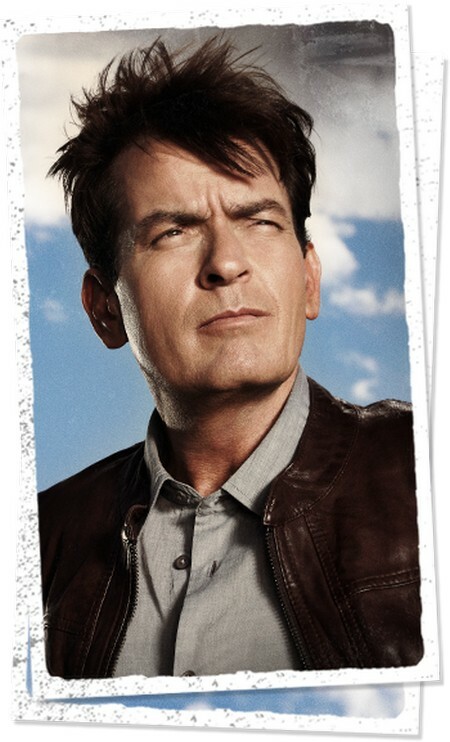 Charlie Sheen is also doing a very good job, reporting to work sober and not causing any problems on the set. The show airs tonight on FX at 9:00 PM Eastern Time followed by episode 2 at 9:30 – and I know that I am definitely going to watch as I need a good laugh. And don’t forget to join us here at CDL for our AWESOME LIVE RECAPs of the Anger Management premier and episode 2 – both on tonight – we will be posting in real time!